The Parochial Church Council has commissioned this website with the primary aim of being both informative and entertaining, but also in the hope that it will enable the continuation of the church here as a place of worship, as it has done for nearly 900 years. There is mention of a church here in 640AD, when this region of the country was at that time part of Wales. The Church is open every day of the year from about 9.30am to dusk. The meaning of the images found in Kilpeck Church are legion, since we do not know what was in the minds either of the founder, Hugh de Kilpeck, or the masons, so facts are difficult to establish. Therefore, the information you will find here cannot claim to be a definitive description. Indeed, anything written about the church should probably have the preamble ’This is my interpretation’, and that is certainly the case with much on this website. It’s a invitation to the reader to suggest his/her interpretations. Please feel free to make use of the Forum page for this. Many entries in the visitors’ book have used the word ‘gem’ to describe the church, but it will only continue to be open every day of the year with the interest and financial input of the many who come from all parts of the world. It is entirely self-funded: even the churchyard costs over £1200 annually to maintain and the insurance costs nearly as much. 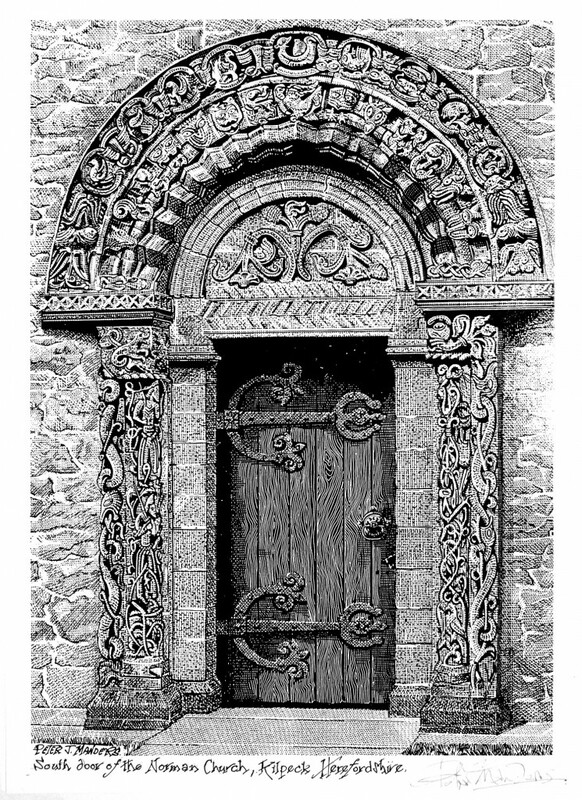 This wonderful image of the south door is the gift of Peter Manders, just one of the contributions provide by many enthusiasts over the years.